Until the day Lydia is kidnapped - and Robert along with her. Someone is after her fortune and won't hesitate to destroy her reputation to get it. With Robert's help, Lydia strives to keep her family's good name unsullied and expose whoever is behind this devious plot. But as their investigation delves deeper and their affections for each other grow, Lydia starts to wonder whether her carefully planned future is what she truly wants..... - excerpt from book. 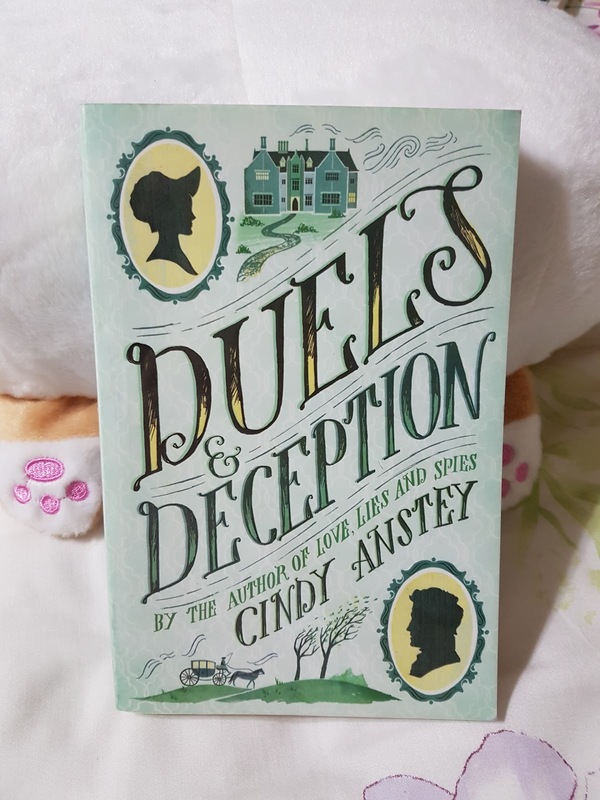 Duels & Deception by Cindy Anstey is about sometimes planned things are not the best things for you. I have a confession to make, historical romance is my guilty pleasure. My all time favourite is Julia Quinn and so I often compare her writing to many who are in the same genre. 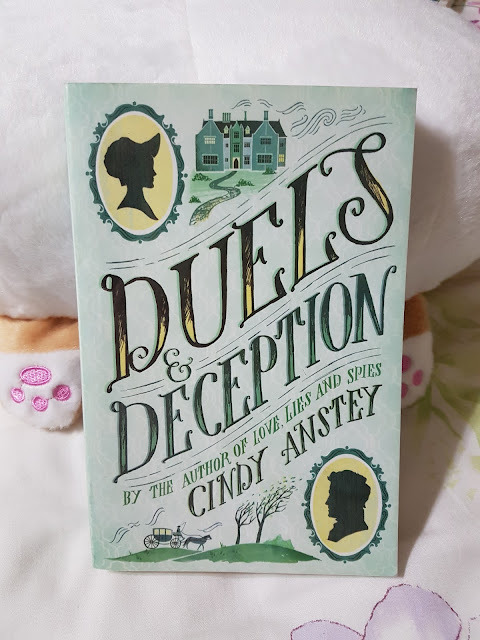 I thoroughly enjoyed the author's debut book so when I came across this one in the bookstore with it's cutesy green colour cover, it's was an instant buy. As usual the setting is the Victorian age in England which is my favourite. When reading the summary it felt like something fresh and not so cliche but when I delve more into the plot it felt that everything happened too fast. I wished there was more interactions between the main and side characters. Don't get me wrong, the character build up and growth were quite well written but sadly it was lacking strong reactions from incidents around. Lydia and Robert are quite strong characters with wonderful personalities but seems a bit too perfect, I would have loved if the author stressed about their flaws which would make them more realistic. One thing I do love is the different perspectives of the characters as emotions and thoughts are made clearer to us readers. There are two major incidents happening parallel in the plot where in my opinion seems too much as the focus changes all the time and there wasn't enough room for those incident to climate properly in the book. Things just happened too fast and it felt like the story ended too quickly as well. The plot twist felt dry and rushed as well. I might be too critical as I have read too many historical romance, nonetheless the characters made up for the story. I wouldn't say this book was a total let down as I did enjoy it but not up to my expectations. If I were to compare this book with the author's debut, then I would say that the first book was better as the story had more focus. As for this book, I could kinda predict what's coming. I wouldn't really recommend this book as adult historical romance are way better.